Flash forward 12 years to the post-cyberpocalyptic ruins of Neo New York, 2053. A Chaos Dunk rocks the island of Manhattan, killing 15 million. 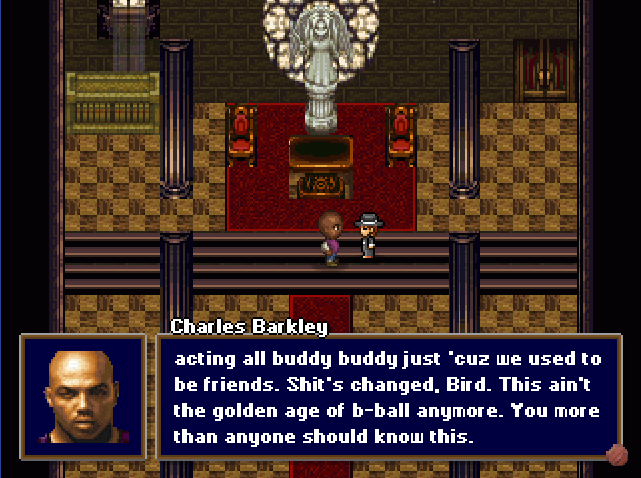 When the finger is put on the aging Charles Barkley, he must evade the capture of the B-Ball Removal Department, led by former friend and baller Michael Jordan, and disappear into the dangerous underground of the post-cyberpocalypse to clear his name and find out the mysterious truth behind the Chaos Dunk. Joined by allies along the way, including his son Hoopz, Barkley must face the dangers of a life he thought he gave up a long time ago and discover the secrets behind the terrorist organization B.L.O.O.D.M.O.S.E.S." Barkley Shut Up and Jam: Gaiden is the full version of the earlier Chapter 1 release seen last year, which tells the tale of the outcast basketball player named Charles Barkley and his quest to clear his name of a crime he did not commit. 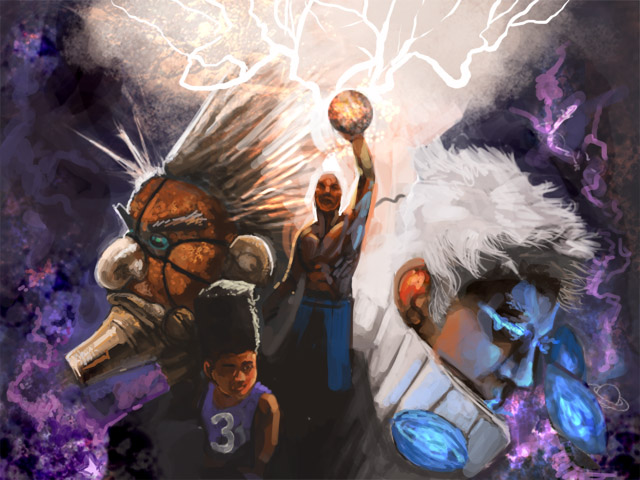 The game is standard RPG fare but features an outlandish apocalyptic setting with the basketball sport and matches outlawed, while the players either condemned, executed or sentenced to a life of anonymity. It will probably take around five hours to complete the entire adventure. Everything about this game makes me laugh a lot. You would think it would be a terrible game based around a goofy premise. But it is really well done. I could honestly see this being one of the highlights of 08 in gaming. And the writing is somehow amazing, rarely going into eye-rolling territory. Honestly the writing reminds me of a more contemporary Lucasarts(Monkey Island, DOTT) style. Whoever thought up "B-Ball Magick" is absolutely out of this world! It's not only going to be (in all likelihood) the best indie game of 08, but probably in the top 10 of all games of 08, all platforms. This is seriously one of the funniest things ever made. I just learned about this game the other day and had to download it immediately. 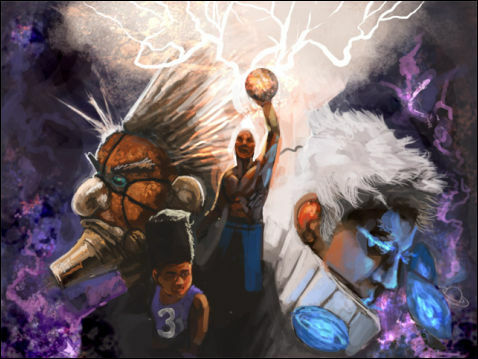 So far it's been a blast- the perfect marriage of NBA basketball and my nostalgia for SNES-era RPGs. A great work of satire with some pretty clever gameplay to boot. Very smart, very funny. I love it.